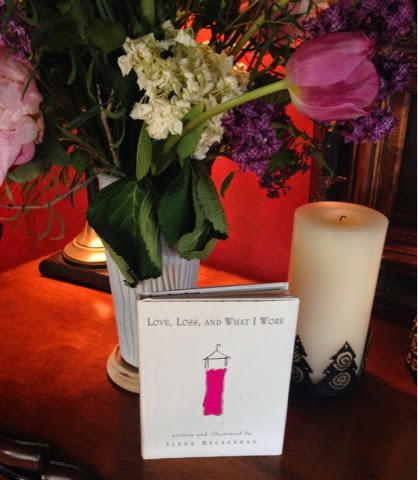 It's no wonder that the collection of stories and illustrations in Love, Loss and What I Wore resonate with audiences around the globe - regardless of zipcode, age, ethnicity or sexual preference. The stories highlight some of our most shining moments as women and then shed light on some moments that perhaps cast a shadow over our days. 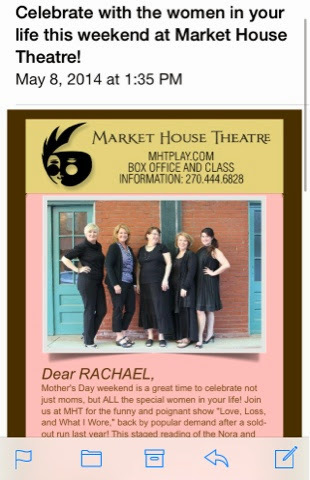 Over Mother's Day weekend, I had the pleasure of performing in this dramatic reading (this year and last year). Being part of this incredible cast and directed by a duo of amazing women from Paducah has warmed my heart. If I could fit them all under my tutu, which it may be cramped but doable, I would. Opening night, was exceptionally fun. 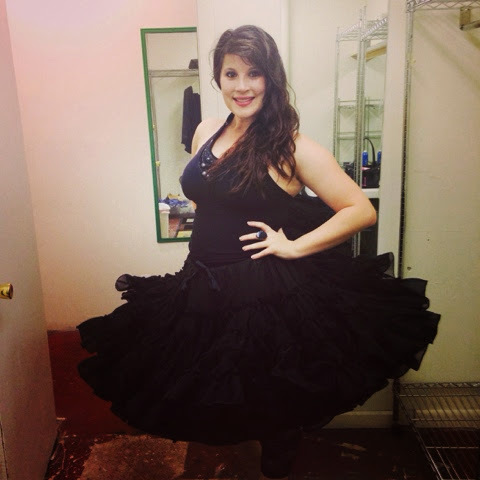 My tutu had a shining moment of its own and made quite the dramatic entrance. Coming onto the stage, I knocked over the music stand that held my script... and when I say knocked it over, I literally mean I picked that puppy up off the stage floor. Luckily my skirt was completely in tact, just a little ruffled... I mean it literally had it's own zipcode. Both of which I said out loud to break the ice. I think if we all sit back and think about it, we can fondly remember moments wearing a particular outfit. After all, that's probably why some of us haven't cleaned out our closets in multiple years #guilty We get emotionally attached to material items and the nostalgia that comes from seeing the item, touching the item... even wearing the item again. I could easily pinpoint the outfit that I wore on a first date with someone special, or what I wore for a special event. I have a 1940's inspired brown dress that was like one of the only outfits that my Grandad liked and honestly, I'm not sure that I'll ever be able to get rid of it. What has been your favorite outfit?